Our City Our Schools and others demonstrated in front of the District headquarters last year. We commend Mayor Kenney and City Council's vision for returning our schools to local control. In the face of an uncertain fiscal future and an unsupportive majority in the state legislature, major decisions about the future of our schools are both necessary and difficult. Regaining local control is a huge step forward on the path toward true, democratically based community control of our schools. While we celebrate the mayor's leadership, the question of how our schools will be governed is critical. 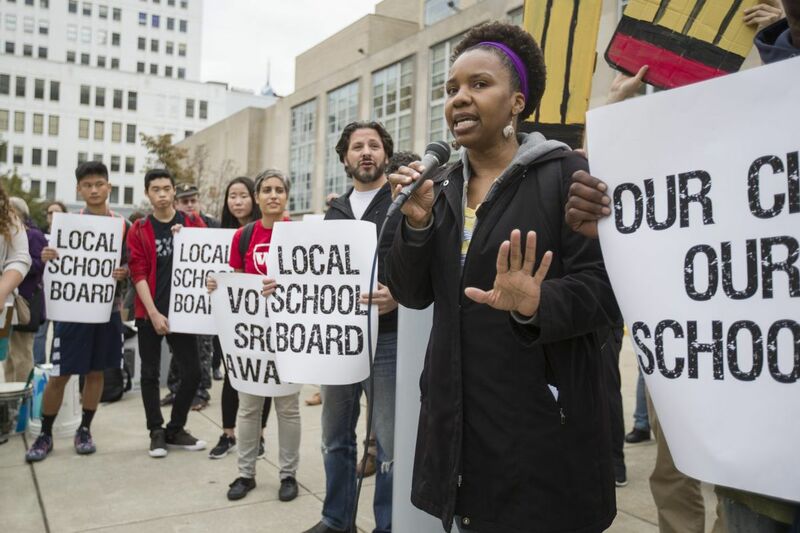 For the last six months, Our City Our Schools and supporters have pushed for a transitional task force that could study successful school governance models and gather broad public input on what comes next — from an elected school board like those in the other 499 districts in Pennsylvania to the mayoral-controlled board of Philadelphia's past. We can return a voice to the people who know our schools best. In ending the 16-year state takeover, we can define who are the true stakeholders of the Philadelphia schools. For too long, our schools have been treated like a business where decisions are made by people seeking to profit off of our children's education. In this new era, we need to return power to the people who work, teach, and learn in neighborhood and charter schools every day, the parents who volunteer to fill budget gaps, and the community members who have supported their neighborhood schools for decades.